The Art room is a place to learn, explore, imagine and create. Every year your child will have the opportunity to learn about new methods and ideas. They will explore other cultures, artists, and new media. 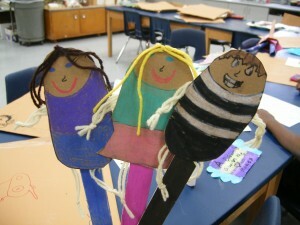 They will observe and imagine, discuss and assess what art is and how and why it’s made. Art is everywhere. Students will be able to identify art in the world and it’s importance and function in everyday life. Art is emotional. Students will learn to express what is inside of them as they see how other artists have used art as a way to express feelings, ideas and beliefs. 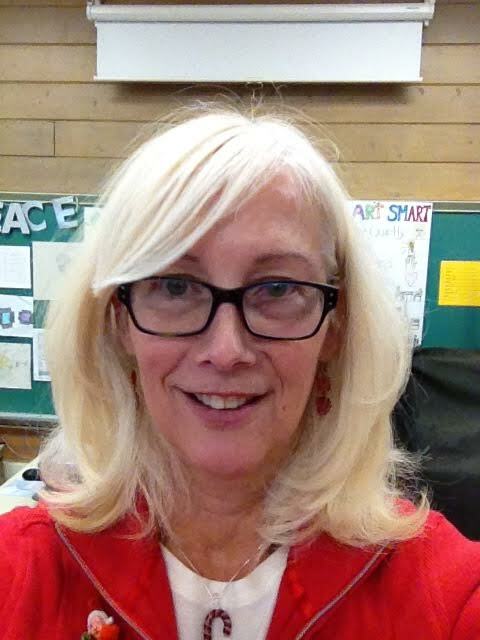 My Name is Mrs. Russell and I have been an art teacher in Dearborn since 1990. I received my degree and teaching certification at Wayne State University. I am married and have 3 adult children. I love art and am currently working on improving my skills in ceramics and starting taking wheel throwing classes with my husband at a studio in Midtown. I Also became a grandma and have 2 grandsons just turning a year old.